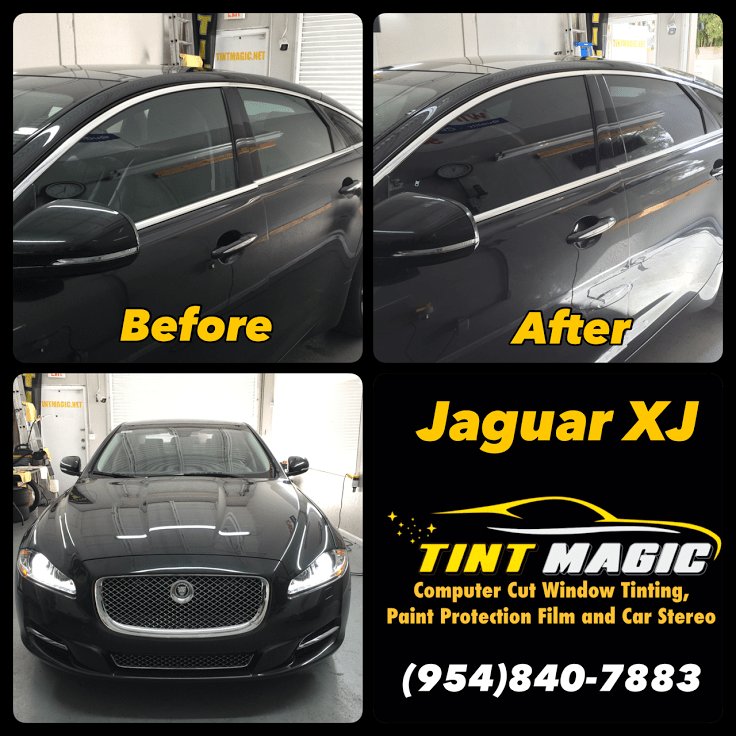 Jaguar XJ at Tint Magic Window Tinting serving Parkland, Coral Springs, Coconut Creek, Tamarac, Sunrise, Weston, Margate. We use computerized software system to pre-cut window film before applying over glass’s windows. We are located at 11344 Wiles Road, Coral Springs, Fl 33076. Call us for the best quality and service! (954) 840-7883.